This is an easy and linear cigar with very faint hints of the wood and floral flavors. 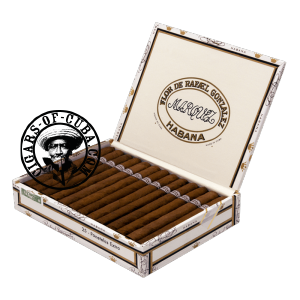 The tobacco is equally mild, which makes this an easy and pleasant smoke and one that is excellent for anyone smoking their first Cuban. Pairs perfectly with an aperitif drink pre-dinner or as an afternoon smoke. This is a cigar that does not need much age to be at its best. Very good value for money.